Pelican case with a custom dual-layer design allows you to store all of your HTC Vive accessories. 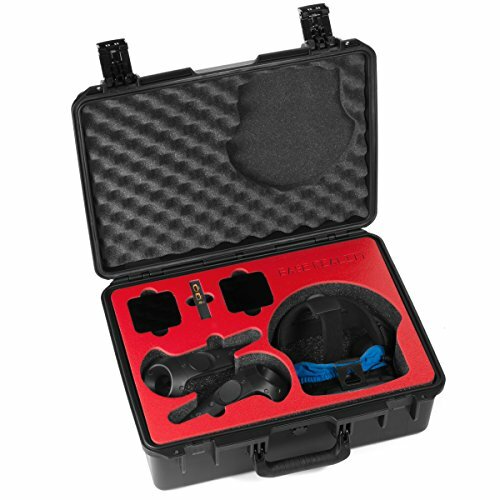 Protect your HTC Vive virtual reality system and accessories with this dual layer Pelican case. Take your system on the road. Watertight, crush-proof and dust-proof. Custom cut foam layers allow you to protect and store all of your HTC Vive accessories. Exterior dimensions 21.20" x 16.00" x 8.30"
If you have any questions about this product by Base Reality, contact us by completing and submitting the form below. If you are looking for a specif part number, please include it with your message.